I like to use the Vanilla Frosting for decorating the cakes. You may double the quantity if you would like to frost the entire cake. Beat all the ingredients in a bowl until light and fluffy. 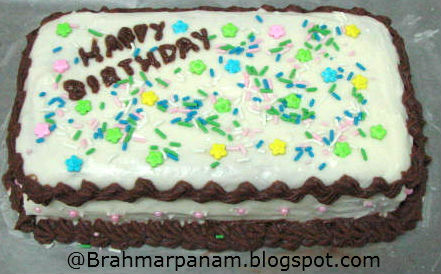 We can add food colours to this recipe to get the desired colour for decorating the cakes.